They say that everything is negotiable in business, and this statement has never been more valid than in FedEx audit contracts. You can renegotiate your rates and contract terms, and make decent savings for your business. However, only business owners who have mastered the art of FedEx contract negotiations stand to gain the most and get a significant amount scrapped off their auditing fees. As you meet with the FedEx auditor, you need to play your cards well and increase the chances of getting significant deductions off your fees. That’s why you need to take note of the following three mistakes which can water down your negotiation efforts. 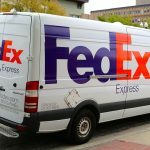 There is a right and wrong time to make FedEx auditing contract negotiations. The wrong time is during the peak season when business is booming. During this time, the company is a beehive of activities, and representatives are always moving up and down to serve clients. If you table your new terms at this time, the chances of getting reductions on your contract are slim. Approach the business during the off-season period when they have little activity. During this time, any auditing company is more than willing to keep existing customers and to impress them. The reps will be more than happy to sit down with you and renegotiate the terms, scrape off some fees, and give you a better deal. Remember, no company wants its customers to run off to their competitors during the low season. • Read your contract carefully and check the fine print, terms and conditions, penalties, etc. • Acquire comprehensive knowledge of your distribution, especially if you are not sufficiently involved in the processes. • Approach other FedEx clients you know and check what terms they are getting. • Talk to clients who have negotiated terms in the past and get tips from them. Don’t dare to go into the negotiations unprepared. This move will affect your credibility and cause you to lose out on incentives. Unless you are willing to change auditing companies, a failed negotiation will negatively impact your business’ current and future shipping needs. Contract negotiations are open to both new and existing clients. If you are an existing client, some periods would be favorable for you to renegotiate contract terms. For example, if you just increased your shipment, you can use your value to the business as leverage to get new and better terms. This is a great time to talk to the company about lowering your fees. Negotiating your FedEx audits contract can help you save money and channel it into business operations. However, not all business owners are successful at the negotiation table. Avoid these costly mistakes and make sure that you consult an expert before approaching the company to negotiate contract terms.